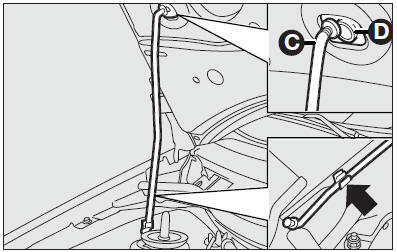 open the bonnet and release the rod (C) from its clip at the same time. Insert the end of the rod in its recess (D) on the bonnet. 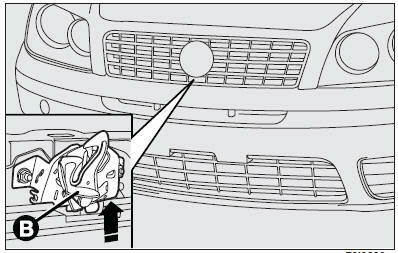 IMPORTANT Before opening the bonnet, check the windscreen wiper arms are not lifted from the windscreen.